James Arthur Murosky, the son of Arthur Murosky and Mary Eugenia McDonald was born October 8, 1942 in Erie, Erie County, Pennsylvania. The family were members of the Roman Catholic Church. The following photographs were taken on the day James Arthur made his First Holy Communion. His sister Barbara Jean confirms that children typically made their First Holy Communion in the spring of 2nd grade. 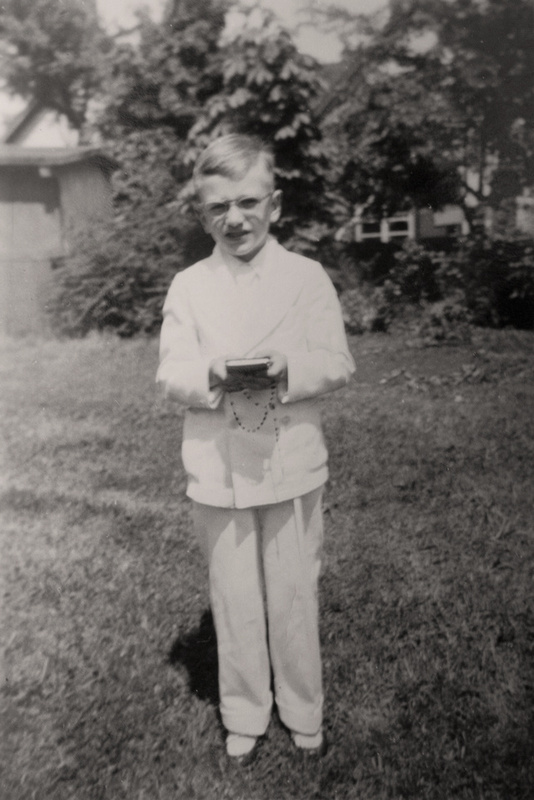 If James made his First Communion in the spring of 2nd Grade the photographs would have been taken in 1950. James would have been about 8 years old in the photograph below. 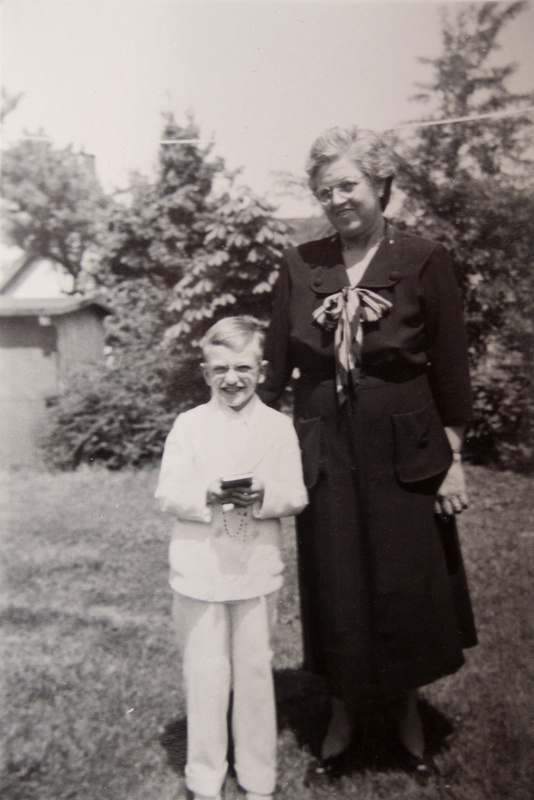 James photographed with his paternal grandmother Helen Tillie Bukowski. If the photo was taken spring of 1950 Helen would have been 49 years old. Arthur Murosky and Mary Eugenia McDonald are my paternal grandparents. James Arthur Murosky is my uncle. Helen Tillie Bukowski is my great grandmother.